Snow White: The Characters And Legacy Of The First And Fairest Of Them All! 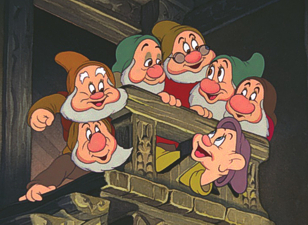 Did you know Baldy, Stubby and Biggo-Ego were once considered as names for the Dwarfs? Or that six of them have eyebrows fashioned after Walt Disney’s very own expressive eyebrows? “The seven dwarfs, we knew, were ‘naturals’ for the medium of our pictures. In them we could instill boundless humor, not only as to their physical appearances, but in their mannerisms, personalities, voices and actions” — Walt Disney. 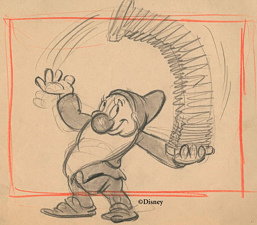 By late 1933, Walt had began to crystallize his idea of making Snow White And The Seven Dwarfs as a feature-length animated film. 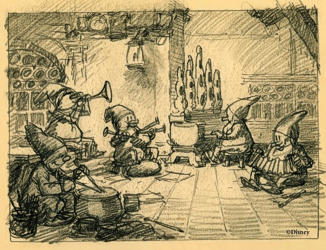 Development on the seven little men began early on and by the fall of 1934, from several early story meetings in Walt’s office, initial shapes and designs of these characters gave them more of a forest Nome look. • Individually, each dwarf represents a type of human personality generally found in most offices, schools or neighborhoods. • Appearing a bit pompous at times, Doc is the self-appointed lead of the group, but is easily befuddled. Doc’s spectacles often slip a little too far down on his nose and has a habit of getting his words and ideas mixed up. He’s overly gracious and highly efficient in his own mind until an important decision is necessary and his nerves take over, preventing any relevant decision from being made. A little nervous, Doc never seems to know what to do with his hands. • An incurable romantic, Bashful is a willing and kind-hearted friend, but it’s Snow White who brings out the blush in this shy fellow. Full of wriggles, giggles and ‘oh gosh’-es, Bashful is often twisting one foot around the other or braiding his beard while batting his bashful baby blue eyes. • Sleepy sees the world through half-closed eyes and always seems to be talking through a yawn. Perpetually nodding off, Sleepy could easily recline anywhere to get some sleep. A rare talker, when he does have something to say, it is always straight and to the point – even though he’s too tired to know it. • His chronic hayfever presents a difficult challenge to Sneezy as he often tries to talk through his nose. Always sneezing at the wrong time, Sneezy is a hardworking and loyal friend…in between sneezes! • A fat, roly-poly little fellow, Happy is easily recognized with a perpetual smile and his bright, cheery disposition. His unique bushy white eyebrows are constantly bobbing with his eager grin as Happy always looks on the brighter side of things. • The real leader of the group, Grumpy is ‘agin’ everything. He is grouchy, crabby, and his primary dislike is ‘wimmin’! While his nose is the most prominent part of his face, his soft, tender heart is even bigger under all that gruff veneer – much to his own disgust. When trouble arises, it’s Grumpy who acts first to save the day! • Finally, Dopey is a loveable, slightly-balmy, child-like fellow who gets a great kick out of life. Imbued with a sense of fun, he is a bit like Harpo-Marx, in that Dopey doesn’t speak, but his sly grin seems to ‘tell all’. Dopey’s garments are at least five sizes too big for him, but that only adds to his charm. Somewhat mischievous, Dopey somehow manages to capture the hearts of everyone. • With the exception of Dopey, the dwarfs are dressed in woodsy russet, tan, brown and grey jerkins layered over neutral-colored breeches which tuck into soft leather footgear. • It was determined early on that upon meeting the Dwarfs, the audience should get a sense that things have gone along unbothered for these fellows for hundreds of years. Everything is pleasant in a humdrum sort-of-way, everything going according to schedule. The startling interruption of Snow White into their lives clearly shakes things up for these gentle men. • Personal hygiene for the Dwarfs is usually not a priority as washing and bathing apparently occurs on rare occasions such as an annual event like New Years Day for example. But with Snow White’s mandate, the Dwarfs respectfully mind their best table manners and wash up! • “Jiminy Crickets” – is usually chorused by all of the Dwarfs when something astonishing or surprising occurs. • By late in 1936, it was determined that Doc would be the leader of the crew and decided that the Dwarfs would carry picks rather than shovels or sacks as they make their way to and from the Diamond mine. Dopey was initially designated to carry a lamp swinging from his pick, but in the end, it is Doc leading the way with his lantern. • Other commonalities include having only three fingers and a thumb; the final designs of the Seven Dwarfs were approved by late 1936. • Artists were offered $5.00 – a hefty sum by late 1930s standards – for every gag featuring the Dwarfs that made it into the final film. 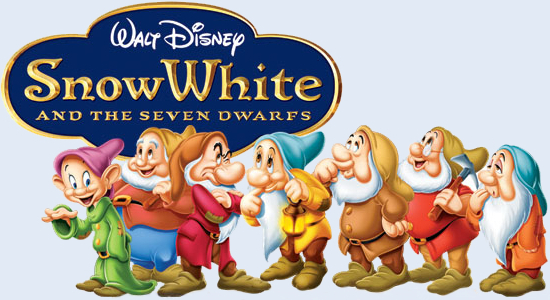 • The Seven Dwarfs appeared together in several shorts after the release of Snow White And The Seven Dwarfs, including The Standard Parade (1939), The Seven Wise Dwarfs (1941), All Together (1942) and The Winged Scourge (1943). 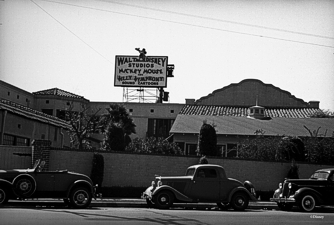 Hollywood laughed at Walt Disney when he announced the creation of a full-length animated feature…now over 70 years later, the triumphant result remains one of the most important films of all time, with a legacy of distinctive firsts within the entertainment industry, including being the first American animated feature film in movie history and the first film to have a soundtrack album of its songs and score released. It was, back in its day, the Titanic of the time: nothing less than the most successful film in screen history! The prestigious American Film Institute places it within its Top 10 films of all time, and just last year listed Snow White as the Greatest Animated Film of All Time. Sitting at #34 in the AFI’s overall list of their 100 Greatest Films, Snow White‘s evil Queen ranks #10 of the all time top 100 film villains, while Snow White’s timeless musical wish Someday My Prince Will Come is its 19th most memorable film song. 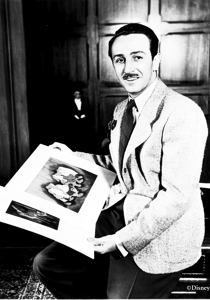 • First full-length animated feature produced by Walt Disney, the first American animated feature film in movie history. • First film to have a soundtrack album released. • First Disney film theatrically re-released in seven-year pattern, starting 1944. 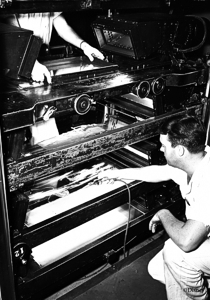 • Among the first 25 featured films to be preserved in the National Film Registry, Library of Congress, from 1989. • First film entirely scanned to digital file, restored and recorded back to film, for the 1993 reissue and LaserDisc release. • Academy Awards: a 1937 Music (Scoring) – nominee and the famous 1939 Special Award “To Walt Disney for Snow White And The Seven Dwarfs, recognized as a significant screen innovation which has charmed millions and pioneered a great new entertainment field for the motion picture cartoon”. 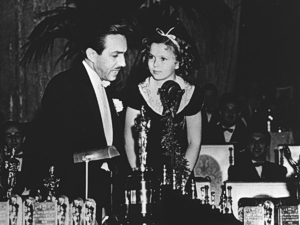 The award consisted of one regular size Oscar plus seven small Oscar statuettes on stepped base and was presented to Walt Disney by Shirley Temple. • Venice Film Festival: 1938 Grand Biennale Art Trophy – to Walt Disney (producer). • New York Film Critics Circle Awards: 1939 Special Award Winner. • Motion Picture Screen Cartoonists Awards: 1987 Special Award – Winner, to Walt Disney, in honor of the fiftieth anniversary of the movie. • National Film Preservation Board, USA: 1989 added to the National Film Registry, recognized as “culturally, historically or aesthetically” significant, to be preserved for all time. • Walk of Fame – Hollywood: 1988 Snow White inducted with Star (Motion Picture category) at 6912 Hollywood Blvd. • Academy of Science Fiction, Fantasy & Horror Films, USA: 2002 Saturn Award – Winner – Best DVD Classic Film Release. • Grossed over $8,500,000 internationally when originally released. • The highest grossing film in American cinema history for one year, surpassed in 1939 by Gone With The Wind. • Top grossing film of 1938 (general release began Feb. 4, 1938). • All-time Box Office Domestic Gross (adjusted for inflation): $782,620,000 – ranked #10th. There simply hadn’t been anything like Snow White when it was first released and arguably there has never been a film quite like it since. 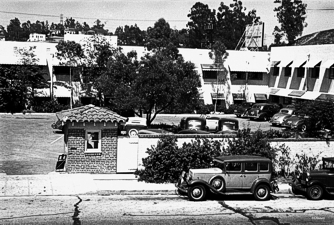 It transformed the Disney organization in the process, from a small cartoon outfit on Hyperion Avenue to the animation powerhouse in Burbank that the Studio is today. 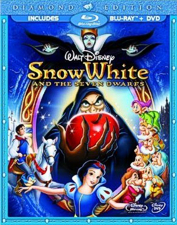 Such was Snow White‘s shock success in the industry that only two films of the time attempted to capture its lightning. Both released in 1939, Max and Dave Fleischer’s Gulliver’s Travels failed to set the box office alight, while Judy Garland’s immortal portrayal of Dorothy in The Wizard Of Oz was also not a big box-office success on original release. It was on television in the 1950s that Oz became a family favorite, but there’s also another Snow White connection: listen for the “Where for art thou, Romeo?” line in the Tin Man’s reprise of If I Only Had A Heart, and you’ll hear Adriana Caselotti…the voice of the fair princess’ herself! 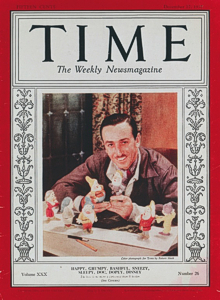 • Snow White made the cover of Time Magazine with the headline Cinema: Mouse & Man (December 27 1937) and the article’s lead quote, “it is an authentic masterpiece”. • New York Times review (January 14, 1938): “It is a classic, as important cinematically as The Birth of a Nation or the birth of Mickey Mouse. If you miss it, you’ll be missing one of the ten best pictures of 1938. Thank you very much, Mr. Disney, and come again soon”. • Variety review (December 29, 1937): “There has never been anything in the theatre quite like Walt Disney’s Snow White And The Seven Dwarfs. It is thrilling entertainment, an inspired and inspiring work”. Over 70 years later, it is still inspiring, especially with the October 6 2009 release of a new digital restoration on Blu-ray high definition disc. With a smile and a song, Snow White And The Seven Dwarfs is the film that told us you’re never too old to be young, and taught us to whistle while you work. May it keep whistling for a good few more years to come! With thanks to Jacqueline Cavanagh, Dre Birskovich and Walt Disney Studios Home Entertainment. All images and clips ©Disney.